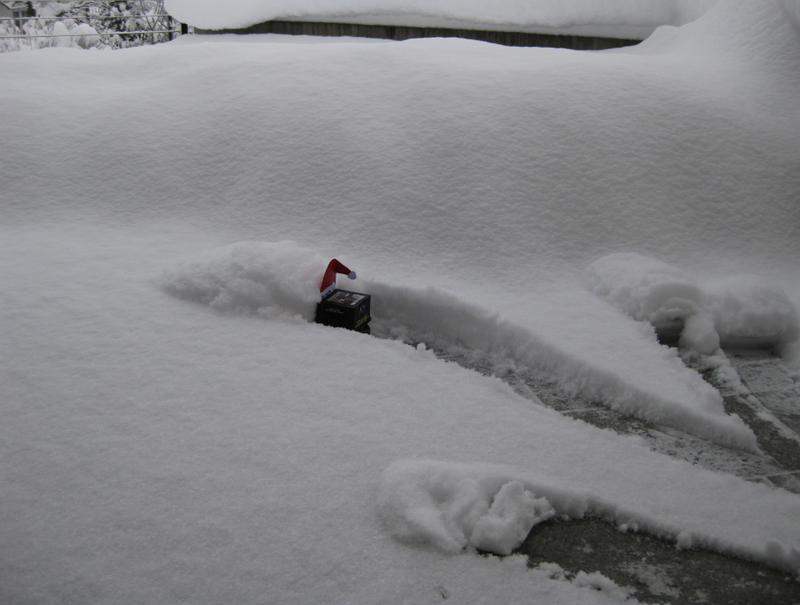 Seriously, that bot was not able to play with the height of snow around the house. So I tried it in an area with only few centimeters. 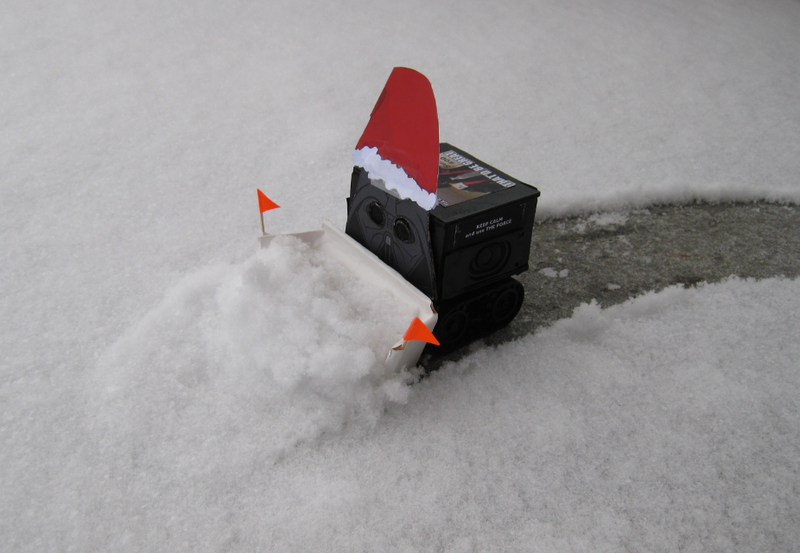 Originally I thought I could use the line/infrared sensor to follow lines on the ground, but the sensor was so covered with snow, so this was useless. I ended up removing that sensor. But still had lasers and ultrasonic :-). Not the most efficient way of plowing, and limited by the size of the bot. But lots of fun. This entry was posted in ARM, Boards, CPU's, Robots and tagged open source projects, Robot, software, software project, Sumo, technology, Zumo by Erich Styger. Bookmark the permalink.